To kick off a phenomenal weekend I had the opportunity to attend an exclusive in-store event with Jane Carter along with her fabulous team. The ladies facilitated an insightful Q & A following demonstrations of several methods to style various hair textures with the product line. Each attendee was treated to a goodie bag of Jane Carter products as well as one on one consultations with Ms. Carter herself. For more pics. 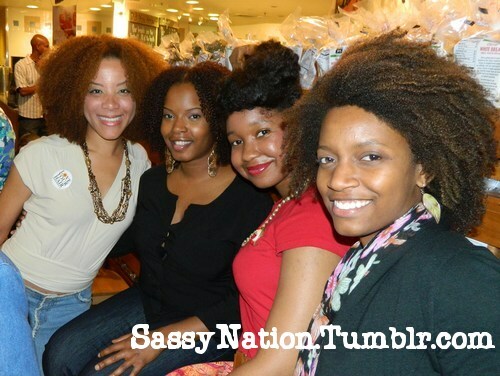 from the event, please visit the Sassy Nation Facebook page. While you’re there remember to like us, then follow us on Twitter and Pinterest!